Max Delmarc, age fifty, is a famous concert pianist with two problems: the first is a paralyzing stage fright for which the second, alcohol, is the only treatment. In this unparalleled comedy from the Prix Goncourt-winning French novelist Jean Echenoz, we journey with Max, from the trials of his everyday life, through his untimely death, and on into the afterlife. After a brief stay in purgatory--part luxury hotel, part minimum security prison, under the supervision of deceased celebrities--Max is cast into an alarmingly familiar partition of hell, "the urban zone," a dark and cloudy city much like his native Paris on an eternally bad day. Unable to play his beloved piano or stomach his needed drink, Max engages in a hapless struggle to piece his former life back together while searching in vain for the woman he once loved. 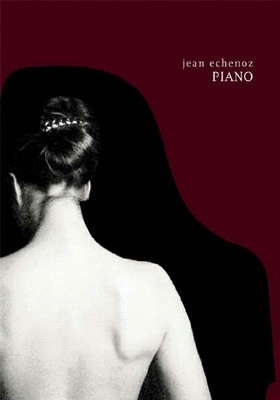 An acclaimed bestseller with 50,000 copies sold in France, Piano is a sly, sardonic evocation of Dante and Sartre for the present day, the playful, daring masterpiece of a novelist at the top of his form. Jean Echenoz won France's prestigious Prix Goncourt for I'm Gone (The New Press). He is the author of nine other novels in English translation--including 1914, Big Blondes, Lightning, Piano, Ravel, and Running, all published by The New Press--and the winner of numerous literary prizes, among them the Prix Medicis and the European Literature Jeopardy Prize. He lives in Paris.